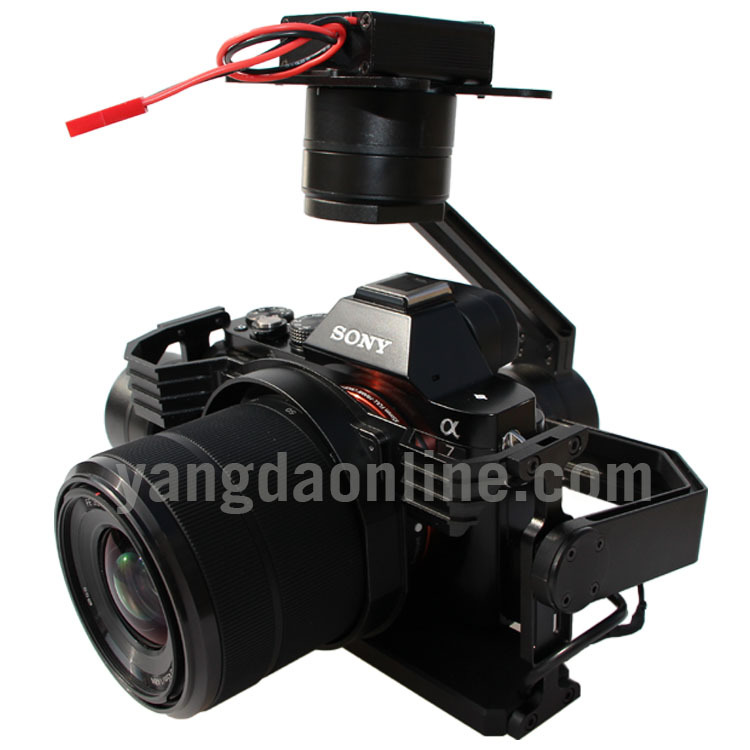 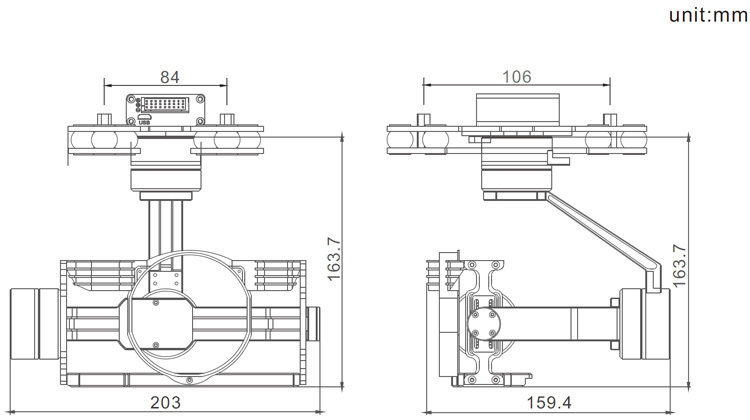 Sky Eye-Z6K Pro is the upgraded version of Sky Eye-Z6K,which is a 3-axis drone gimbal designed for SONY DSLR A5000,A6000,A7 series and RX1.With this gimbal,you can not only realize some basic operations like gimbal Yaw and Pitch axis control,but also other much more important camera controls:zoom,record,trigger,etc.So it will be very useful for different industrial applications where you need both camera zooming and high definition photos,like power line and infrastructure inspection. 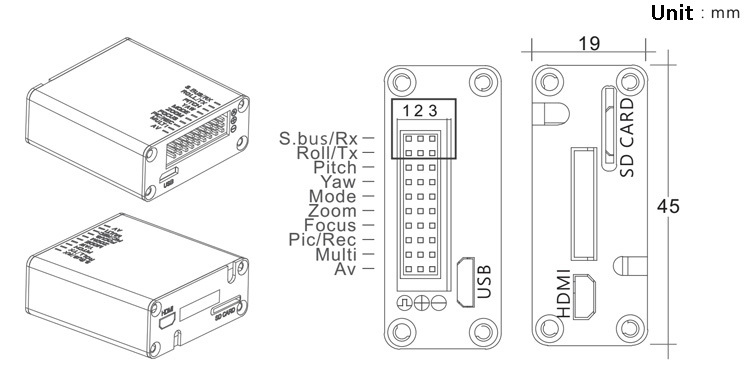 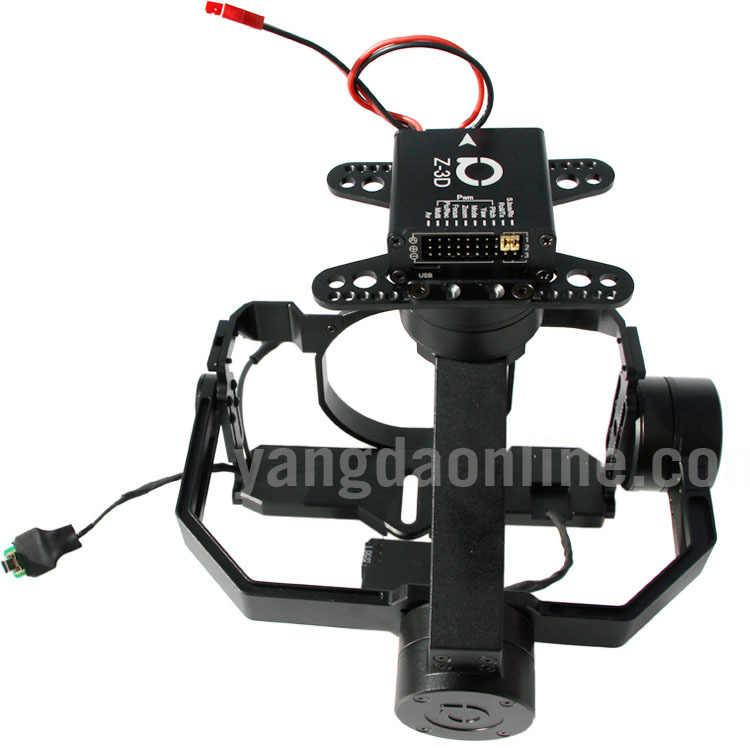 Another big feature for Sky Eye-Z6K Pro is that it can be equipped with an Auto Object Tracking Module(AOTM),which will enable the pilot to track static/moving objects very easily.Further more,the AOTM is only 40 grams,do not add too much weight on the drone.How it works:zoom in and put the object you want to track in the screen,move the cursor to the object and lock it via controller,and then the camera will track it automatically. 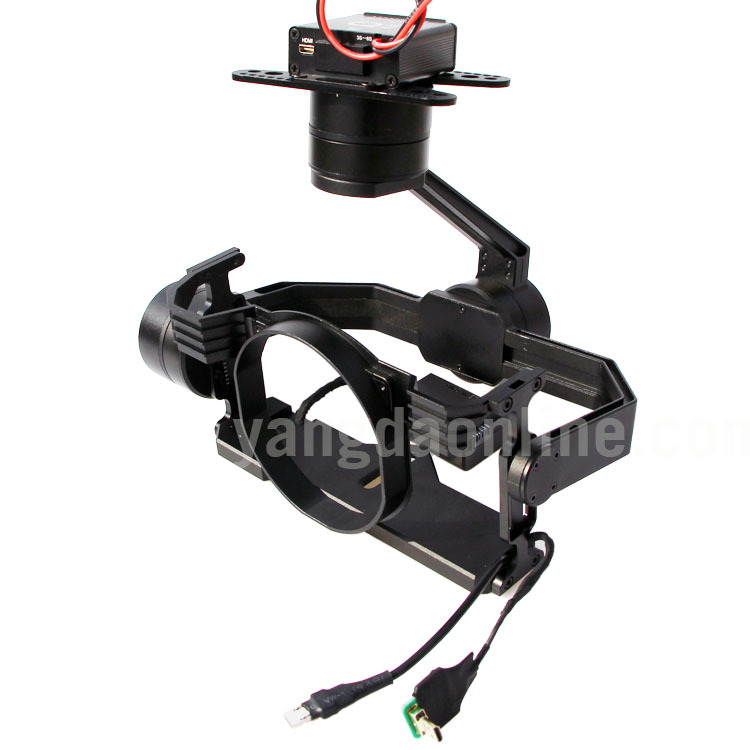 Sky Eye-Z6K Pro comes with an amazing advantage that the gimbal can not only be controlled via PWM signal,but also serial command.Also gimbal data(like Yaw/Pitch/Roll angle,zoom status etc) can be obtained by sending serial command to the gimbal via its serial port,which is really useful for precise gimbal control and system integration. 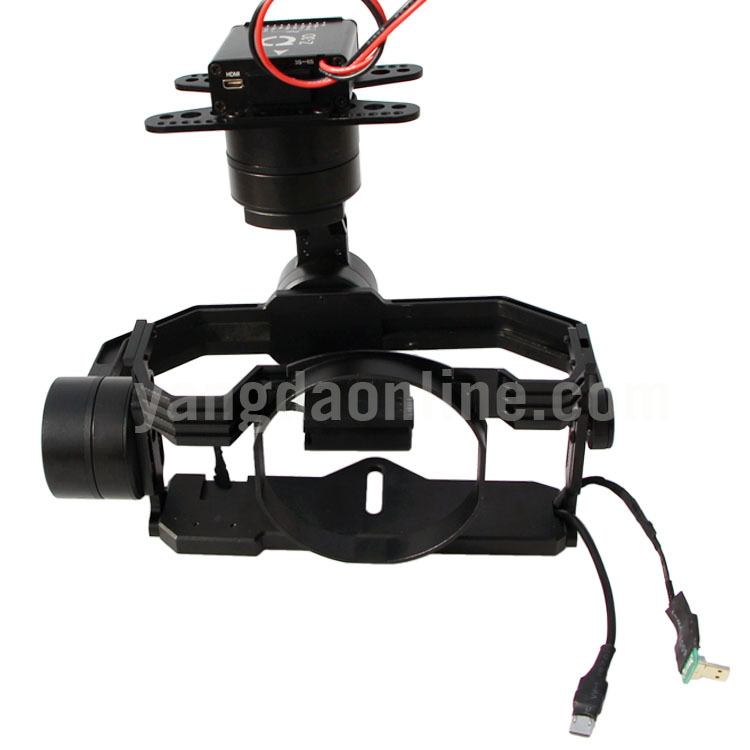 Sky Eye-Z6K Pro provides an outstanding wiring hub for RC receiver and video output port,which makes the wiring job simpler and clean.Also the gimbal offers 2 smart speed modes:FAST speed and LOW speed.Fast speed mode is used for small zooming range,which makes the gimbal control sensitive and quick.LOW speed mode is used for large zoom range,will enable you to target the object more accurately. 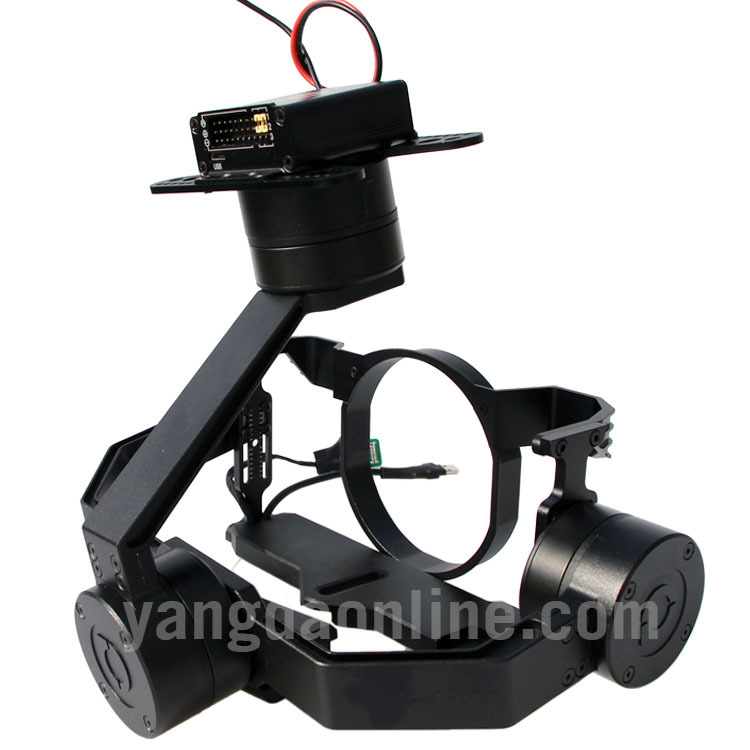 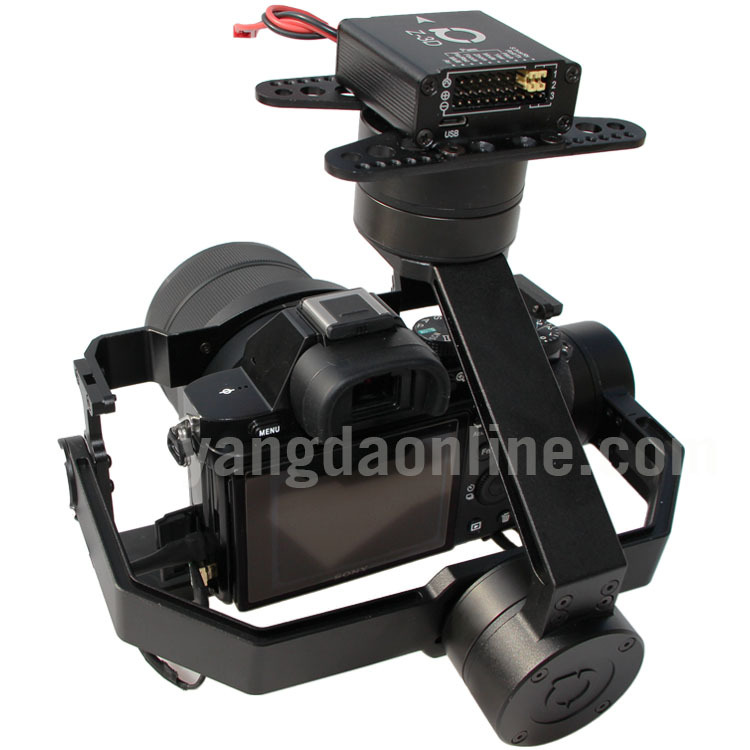 8) Adjustable control speed: SLOW speed for large zoom range, accurate; FAST speed for small zoom range, sensitive and quick.